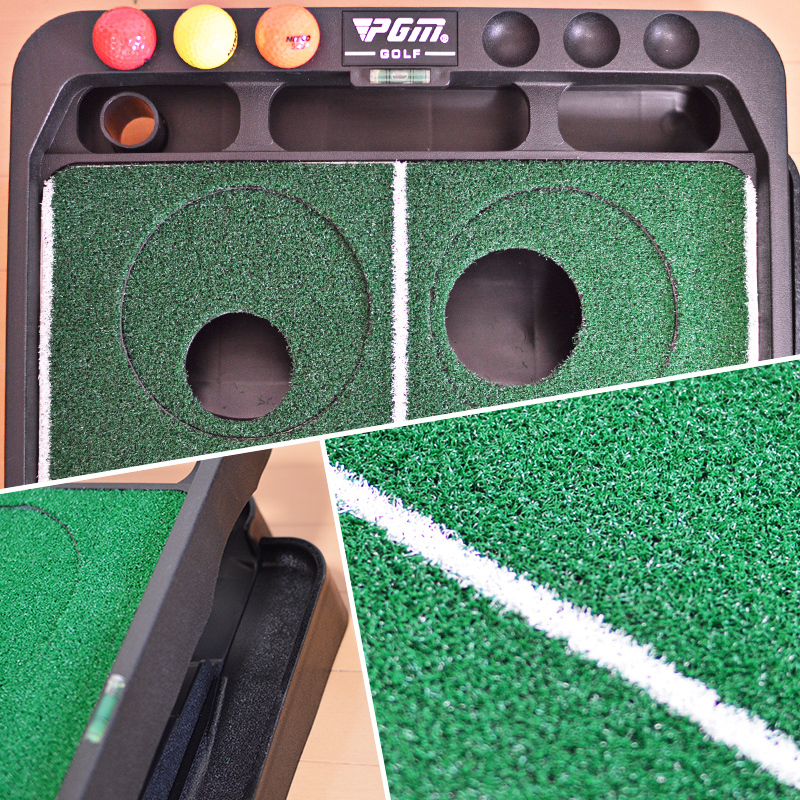 Putter mats that can be putter practice comfortably at home have an undulation (relief of green relief) function! 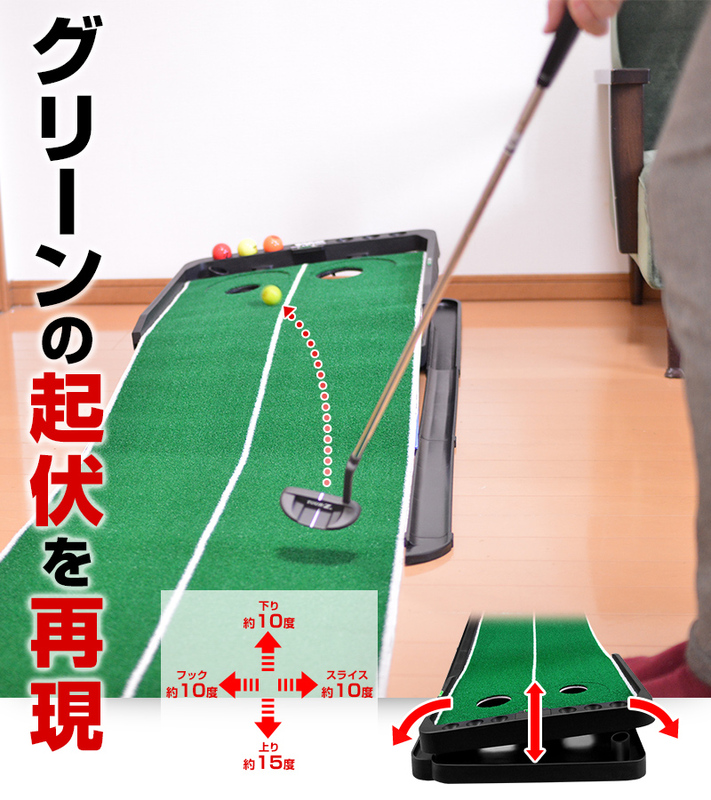 This 【Free Angle Putter Mat】 overcomes weak lines so you can freely adjust the tilt angle, so you can practice hooks and slice lines as well as straight lines. In addition, the cup position can also be rotated 360 degrees, so any conditions can be set. Practice your weakness pattern repeatedly and overcome poor lines! ! 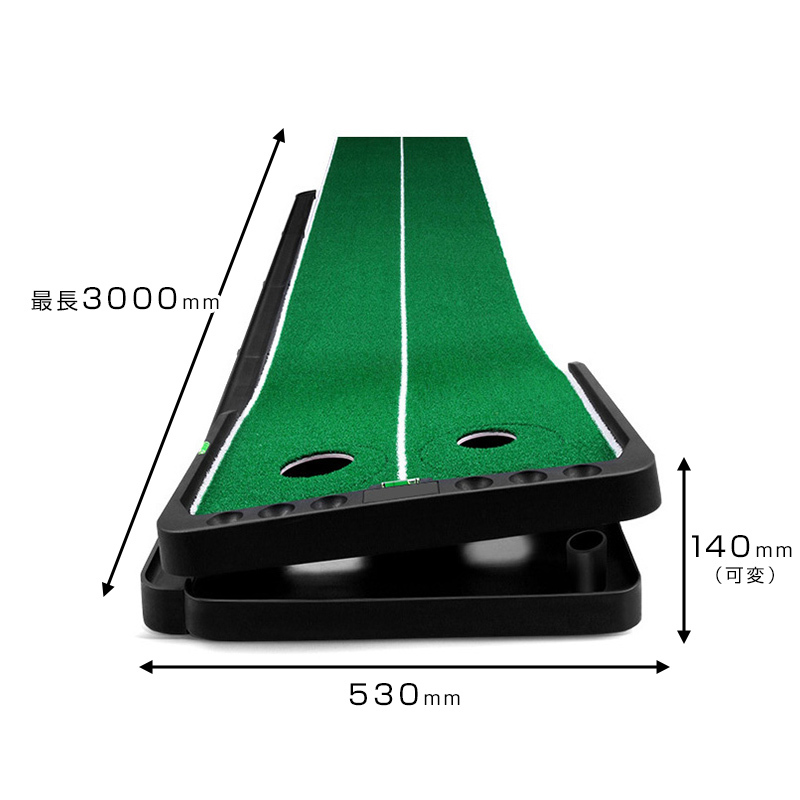 Suitable for overcoming weak lines because the slope is freely attached! 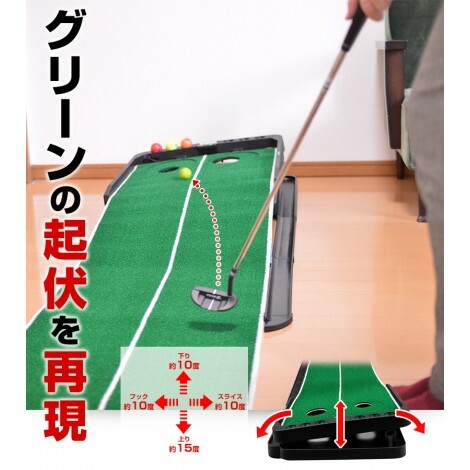 I have no place to practice even if I want to practice a putter, and with an ordinary putter mat, I can only practice straight lines, so I would like to practice ups and downs closer to the actual green. I highly recommend you to such high ambition you! The tilt can be changed easily and freely, so you can practice more than ever. Of course, you can practice indoors, so you can practice comfortably on hot and cold days. Practice in a comfortable environment & high concentration and improve your putting skills. 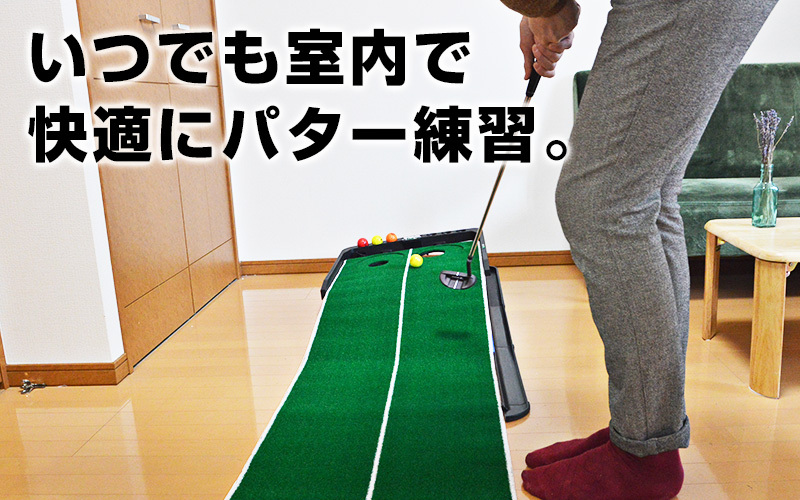 ※ The mat is up to 300 cm. I have all the features I want! 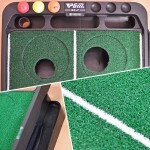 We have the necessary functions to make putting practice more comfortable and efficient! 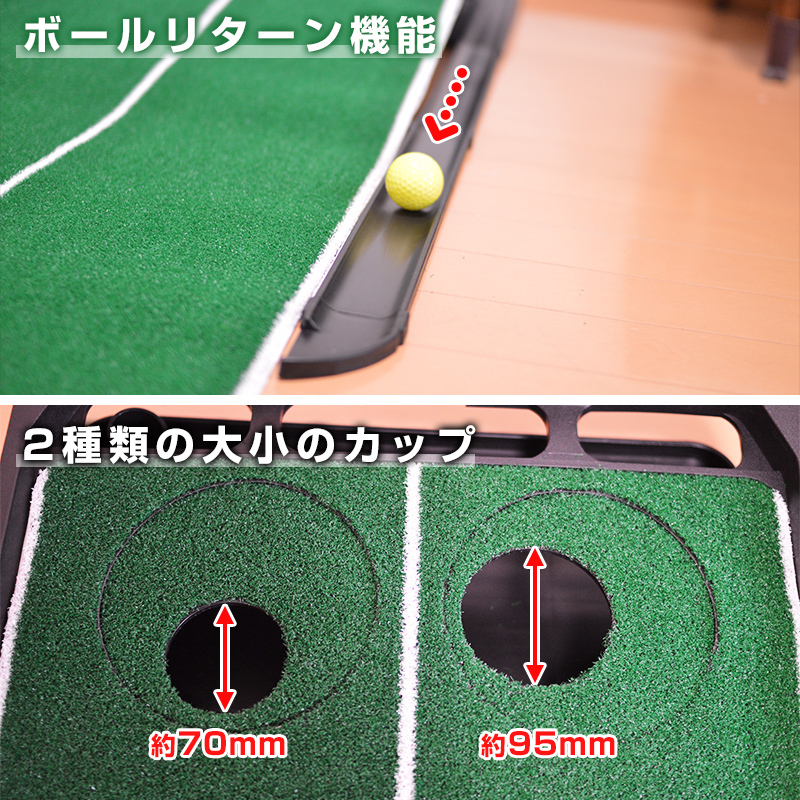 ■ Ball return function As ball comes back through the right lane of mat, we can put on continuously without having to set again every time. ■ 2 different cups The variation of the practice is spread out more by 2 kinds of cups. 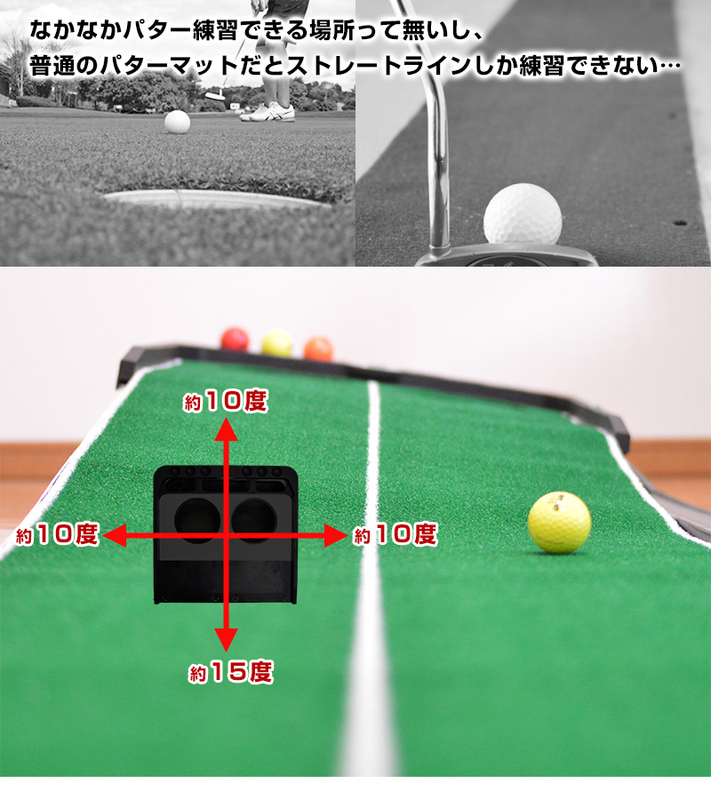 In addition, as general putter mats use artificial turf that has become commonplace, to improve precision putting technology. ■ Set the inclination of your choice at any time with the leveler Since the levelers are attached vertically and horizontally to the main frame part, you can always keep your favorite inclination. Let's practice weak lines repeatedly. 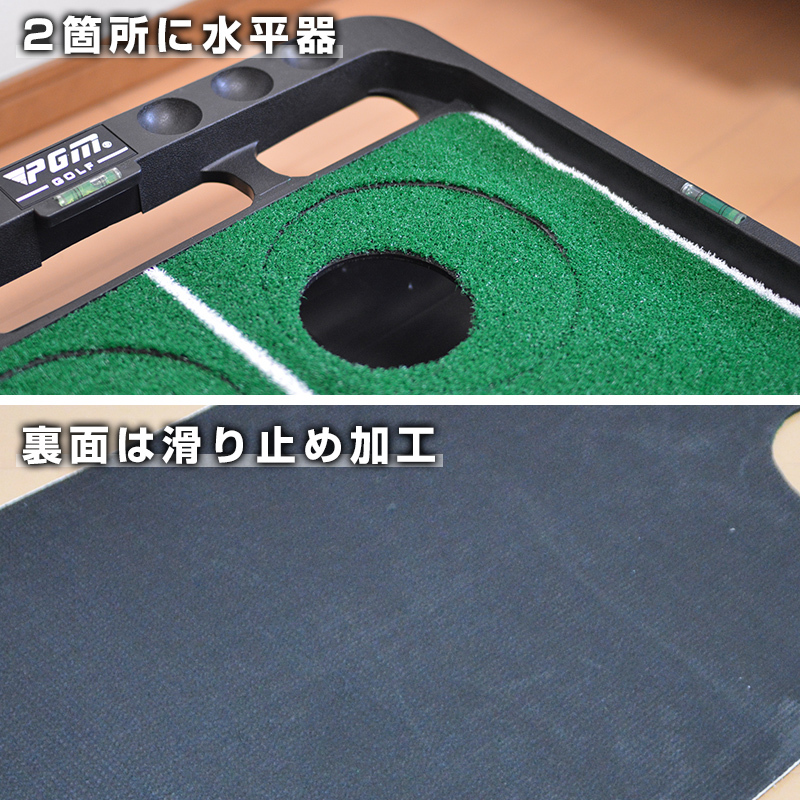 ■ The back side of the mat is non-slip processing The back side of the mat is anti-slip processing, so you can practice without the mat shifting. There is a ball and club storage area on the mainframe, so you don't have to bother with it and prepare it. Practice as soon as you think! ! 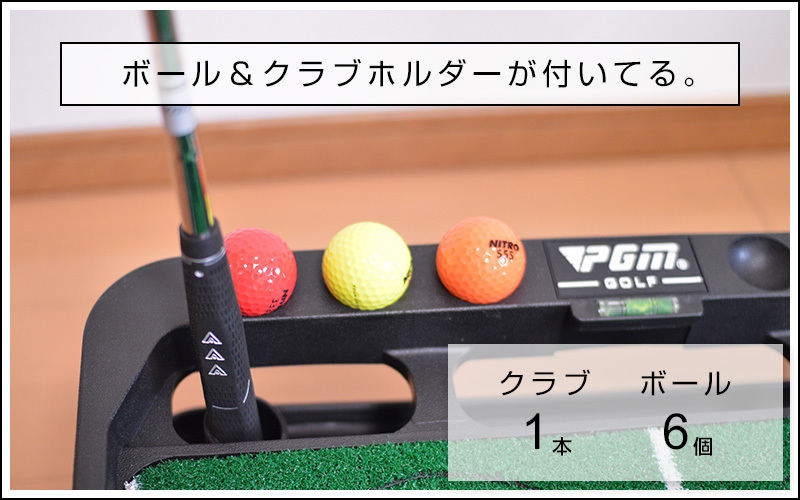 ※ Ball and club are not included. It is a place to be worried about. 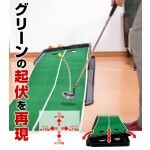 Putter mats are convenient but can not be spread out. Please rest assured. 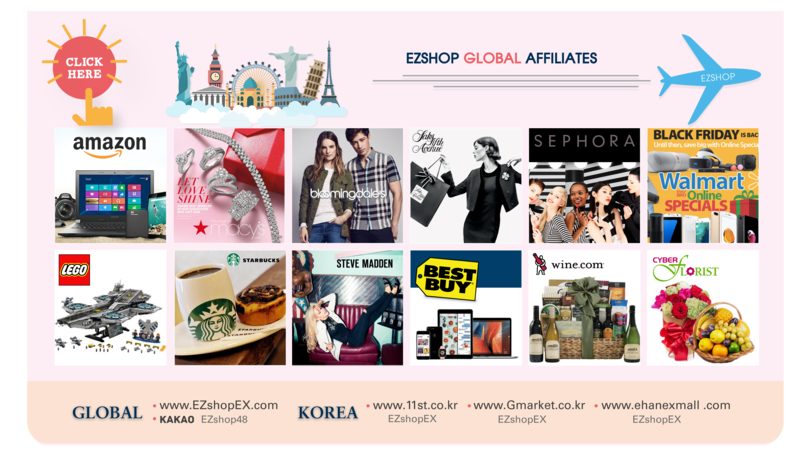 This product can be put together in a compact format, so it's easy to store it! 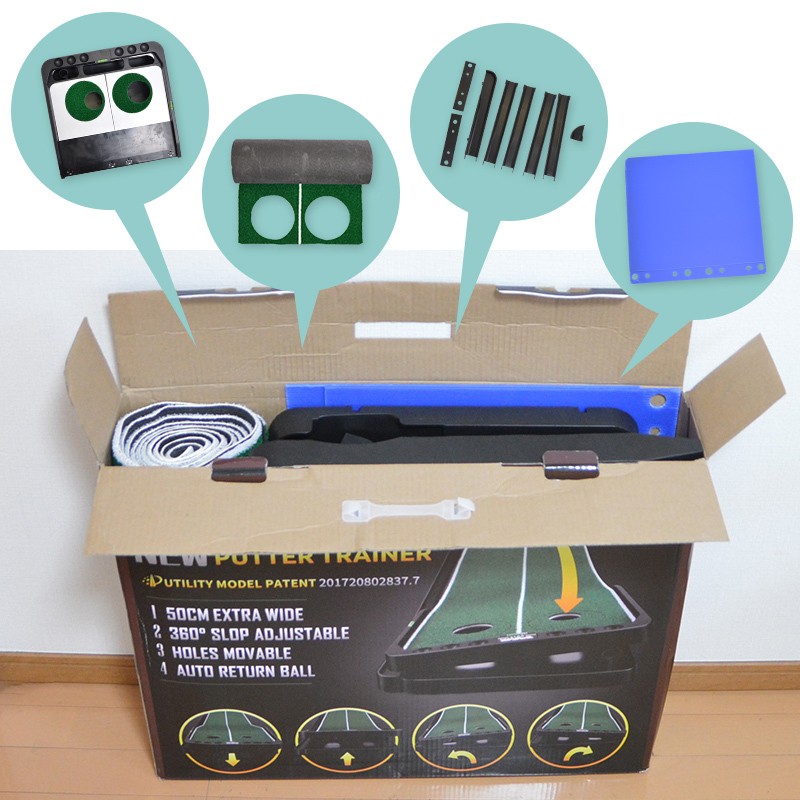 It is easy to assemble, so you can use it when you want to use it. ※ Please be careful not to get injured such as holding your hand when assembling. ※ Please do not drop or give a strong impact. ※ Do not store or use within the reach of small children. ※ Please do not repair or remodel. ※ Damage to the product that occurs when using this product is not covered by the compensation.